Click to the left on the schedule icon to see a quick view of the schedule. Scroll down to the PDF of the schedule in order to view and print a nice printout of the schedule. You can view, flip through, or print the schedules below, or go to the full page view. Check the More menu. Click to View. Click on File at the right to download and print. Click to view, or click file icon to the right to download a printable a PDF version of the schedule. Click on the image at the right for a quick view. Click on the PDF icon to the right to download for printing. Click on the icon to get a quick view, or click on the link to the right in order to download a PDF of the schedule. Click on Icon to get a quick view, or click on the link to the right, in order to download a PDF of the schedule. Here is the Fall-Winter schedule. You can print it if you lost your copy of the schedule that was mailed. As always, please note any corrections you think we should make and tell Shelly or Lenny. You can email corrections to us at this address. The schedule can be downloaded as a PDF with this link. 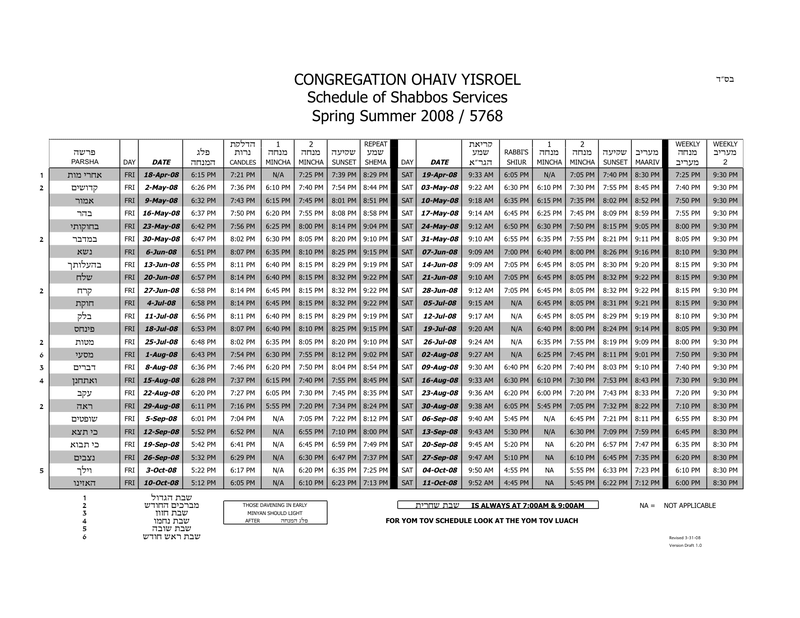 Fall Shabbat schedule is coming! 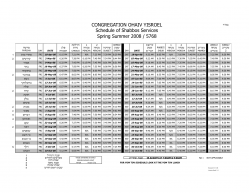 Spring Shabbos Schedule is available to download. Click this image to view on screen. Click on file to the right to download a printable PDF file of the schedule.